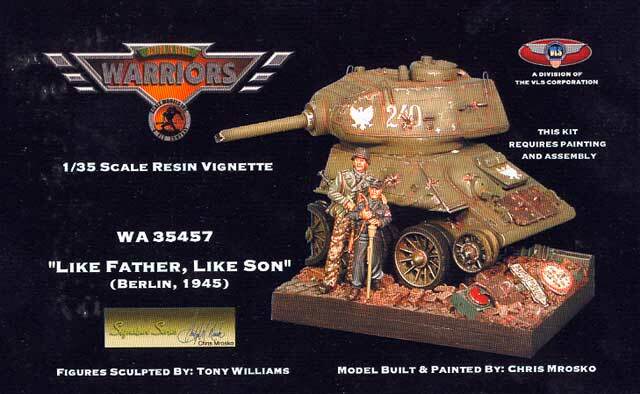 The latest in Warrior's vignette releases is "Like Father Like Son", a scene with two figures, a "wedge" of T-34 and a detailed base. All parts are supplied in resin. 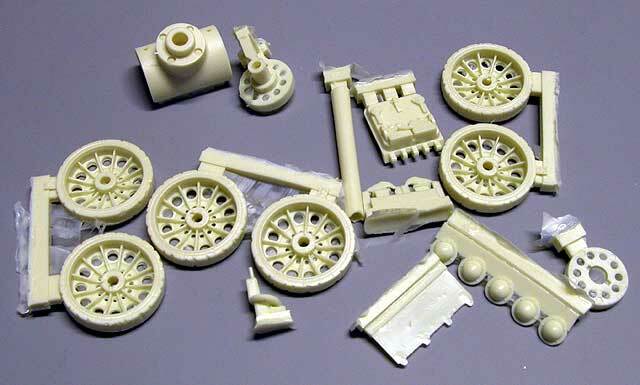 The section of T-34/85 is made up of two solid resin chunks with additional detail parts including damaged roadwheels, mantelet, bow machine gun and driver's hatch (Click thumbnail photo in this paragraph to view detail parts). 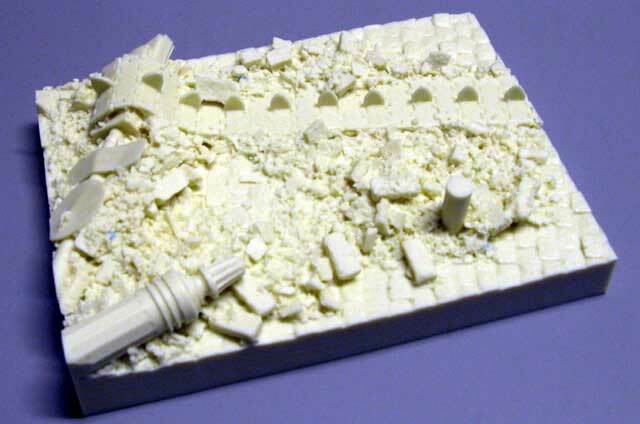 Spare track links are provided, but Warriors has saved us the chore of separate track links by casting a broken track length onto the resin base. Battle damage has been added to the hull and turret, as would be appropriate for a Russian (or, in the case of the boxart, Polish) hulk abandoned in the urban heartland of Germany. Figures are typical of Warriors' high quality. 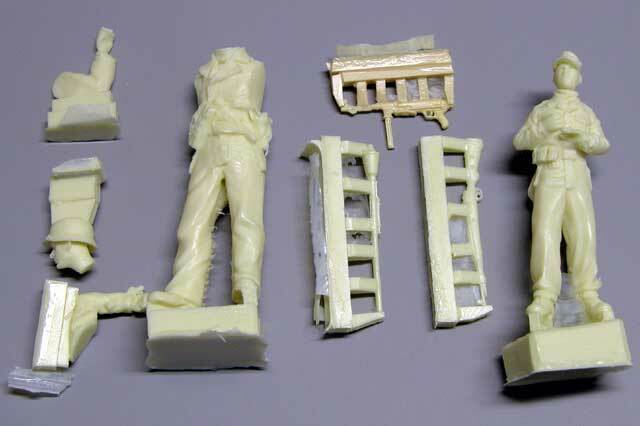 The boy is supplied in a single part, while the adult soldier is broken down conventionally with a separate head and arms. There is a little resin flash, but nothing to cause any real grief. Weapons include an MP40, a Panzerfaust and a KAR98K rifle. These are all cast onto their blocks via six attachment points. Care will be required not to damage the weapons during removal and cleanup. 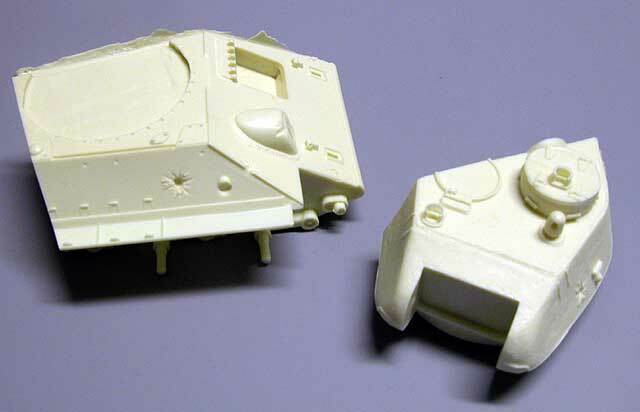 The one-piece solid resin base is very well down, with positive location for the T-34 provided by way of the cast-on track length. The rubble looks very convincing too. A small post is present to support the port side of the T-34 near the back of the base. "Like Father Like Son" is a on-stop vignette with lots of items to draw the eye - the vehicle, the base and the figures.